Early in the morning, Chris and I are excited to begin! The Other Tour had arrangements to meet us at our hotel and take us to the rendezvous point for the whole group. 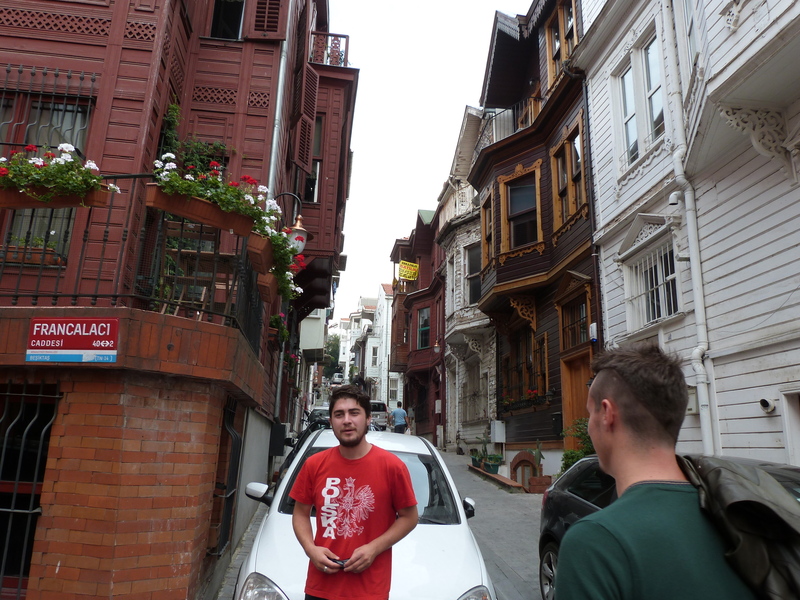 They met us in our hotel lobby and took us on a quick cab ride over to just outside of Dolmabahce Palace. We met our guide and piled into a nice transportation van with the rest of the group. This was a group tour unlike the tour we had taken the day before so we got to meet lots of lovely fellow travelers. I want to say our group was about 10 in total, but I didn’t count. It was not too big, though, just right. 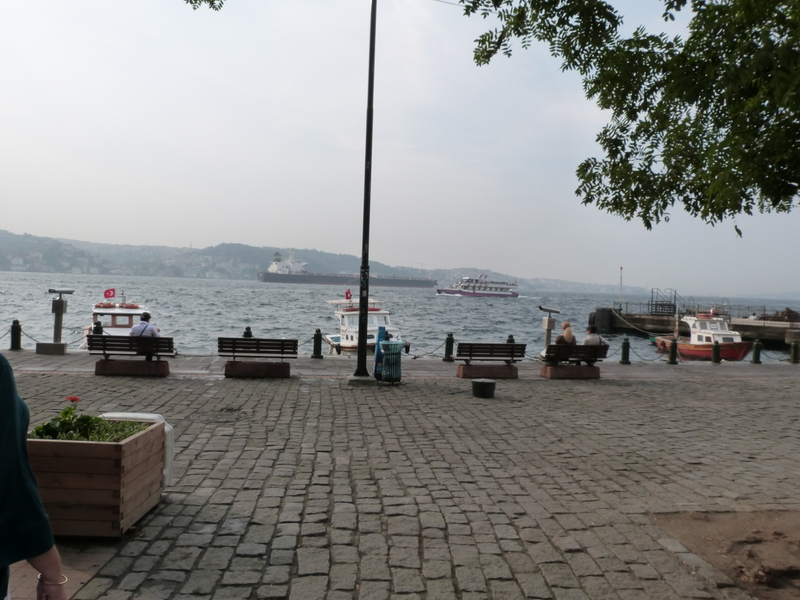 From there, we rode up to a little area on the water called Ortakoy. Stepping out of the van, we were introduced to our fellow group members and our tour guides, Fethi and Trevor. Fethi created the tour and explained that it is his dream to provide travelers all around the world with experiences they couldn’t have normally. 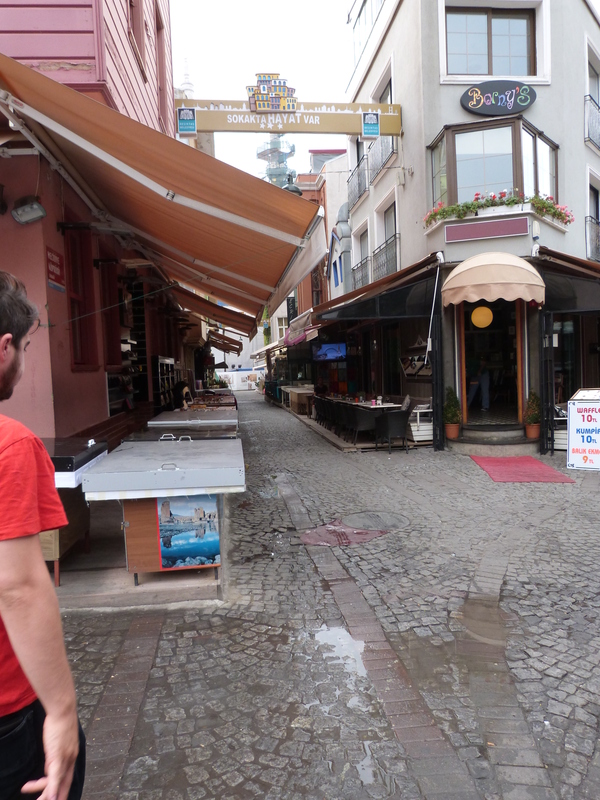 He wants to expand what he is doing eventually to other cities, but for now, lucky for us, it is in Istanbul. Trevor ran the tour for us. 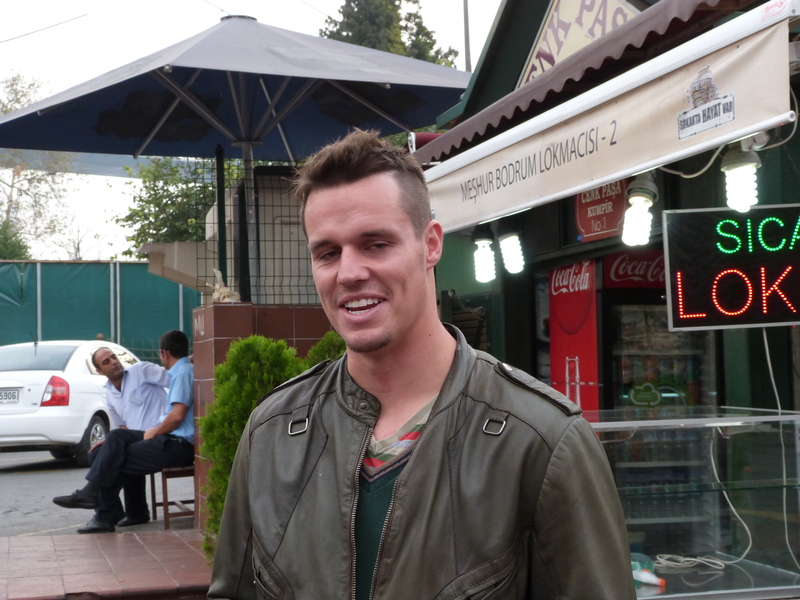 He is an American living in Istanbul and informally adopted by Fethi’s family. Turns out he was originally from Colorado, so that was pretty cool. 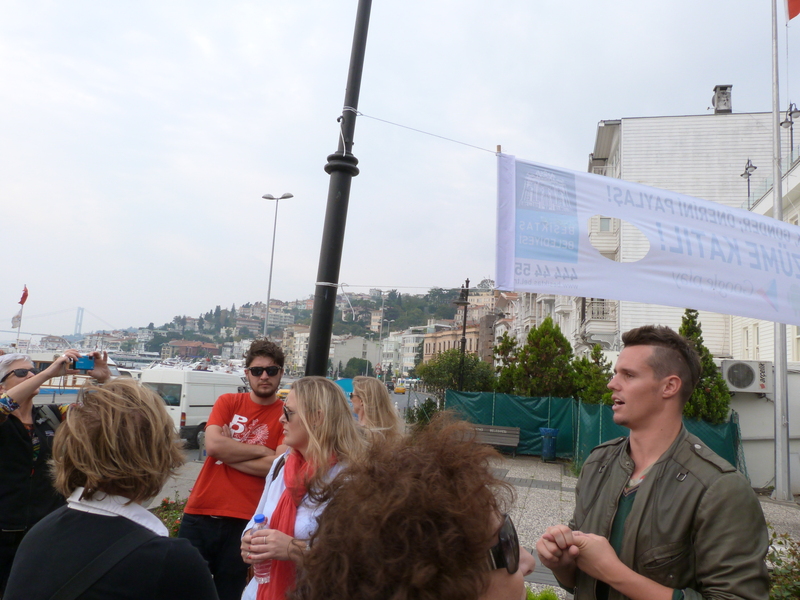 We began with an introduction to the tour while standing beside the water in Ortakoy. It was pretty empty that early in the morning, but gets busier later in the day as we found out a couple days later. The boys took us to a little kumpir stand and ordered a couple for everyone to try. This was essentially a GIANT baked potato with tons of filling like butter, cheese, pickles, corn, sausage, carrots, and more! 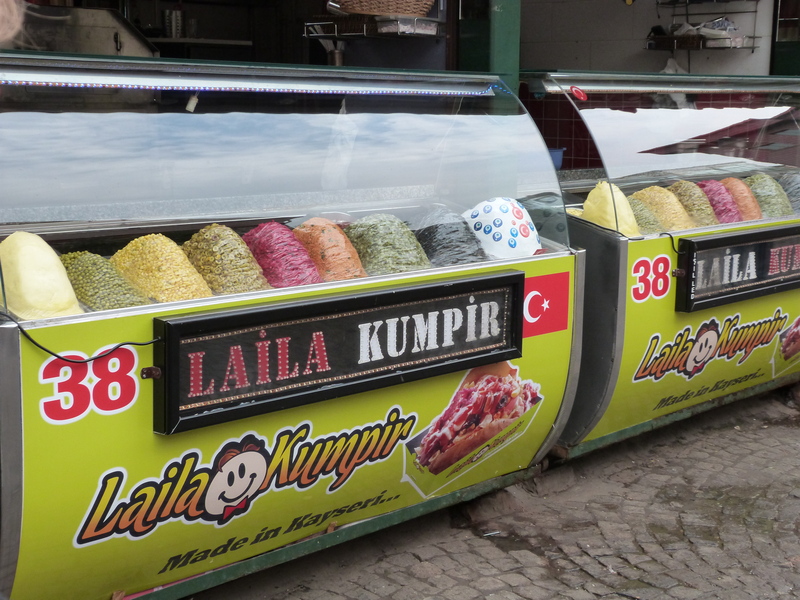 A little side alley in Ortakoy, not too many people eating Kumpir this early in the morning! From there, we loaded back into the bus and headed north through an area called Babek. They explained that this area is all the wealthy and expensive neighborhoods. We stopped at a café where they got us Turkish coffee and tea and where we could all use the facilities. This is where we were able to sit down and take it all in, get to know our guides, and ask any questions of them that we wanted. 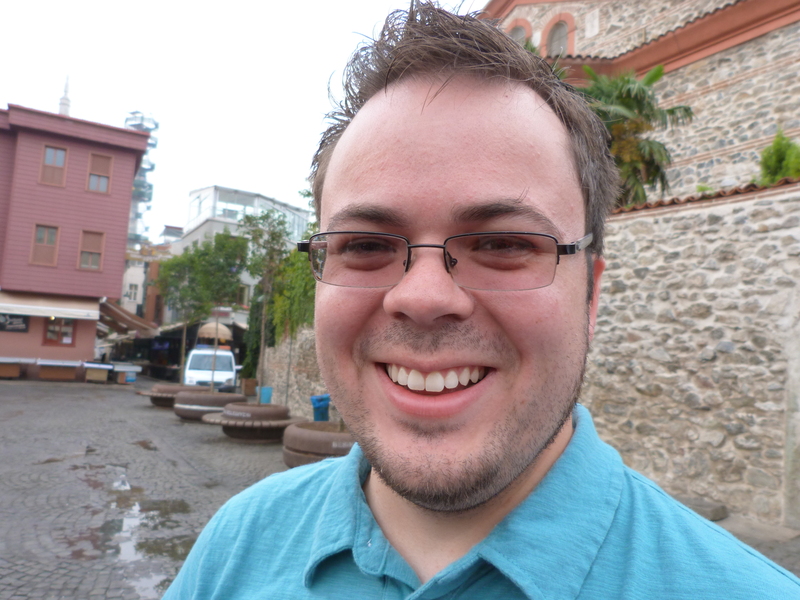 I let them know that I am working on a book based in Istanbul, so to tell me anything they knew about the history of where we would go that day. I was very excited. From the café we prepared to go on our Bosphorus cruise! 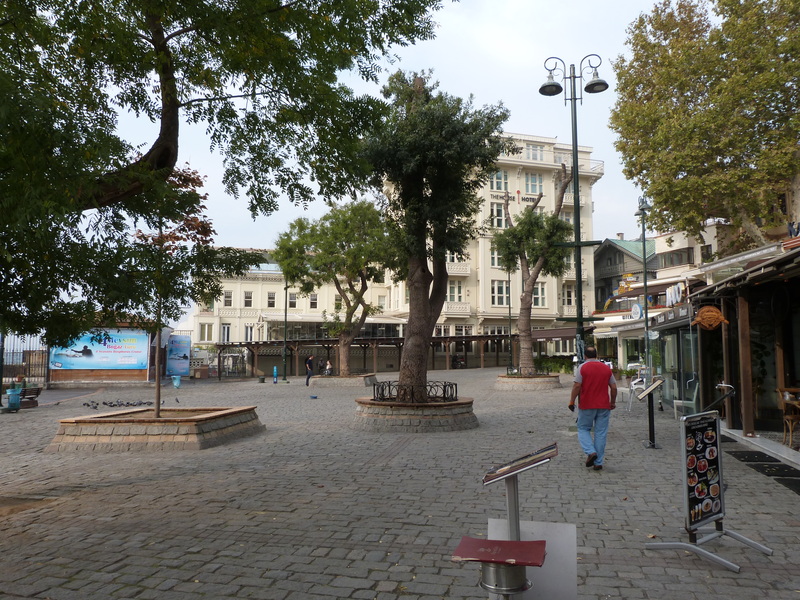 Ortakoy, we come here a couple days later in the afternoon and it was much more lively. 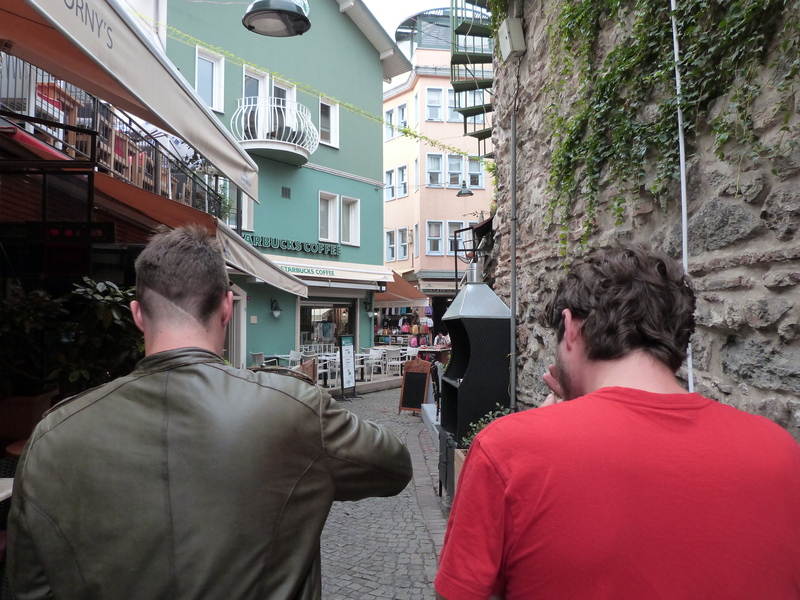 Walking around a little to get to the cafe, the boys show us where they live. 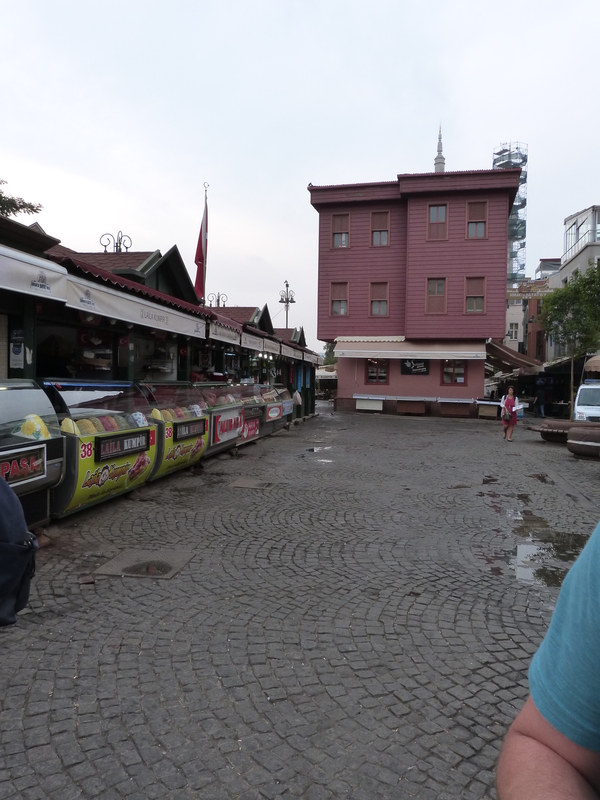 This entry was posted in Our trip to Europe and tagged Babek, Istanbul, kumpir, Ortakoy, The Other Tour, travel.